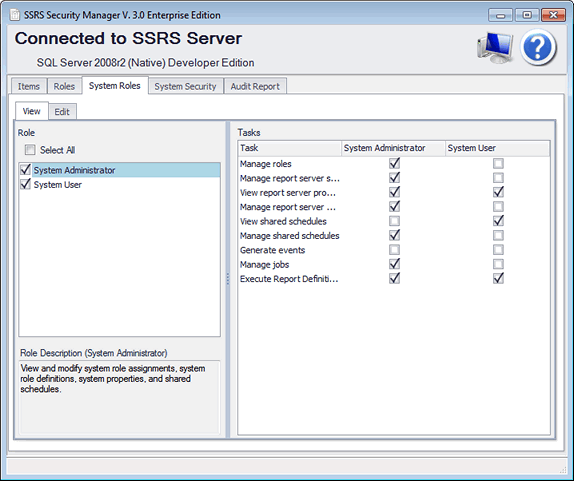 System role management is spit into View and edit tabs. The view tab is used to compare system roles. Roles are displayed with their associated tasks.